This fruit is considered the most popular raw material for juice and juice. It contains large amounts of essential oils and vitamin C. But it goes about its benefits for the body, and about the work. After reading this review, you will understand how to draw an orange using only a pencil. Try to draw beautifully and professionally this fruit. Step 1. 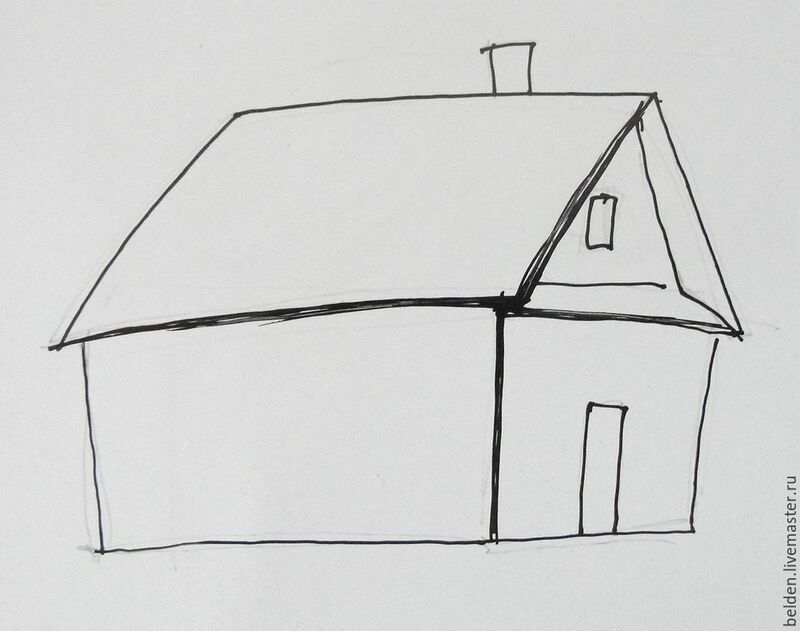 Start drawing with a pencil sketch. Oranges should be located in the Central part of the composition. First draw one orange. As the basis will serve you a circle. Below this figure, draw another circle. It will be the basis for the second orange section. Step 2. You will need more to draw the figure of a whole orange. The contours must be rough to add realism and a cut lemon. Step 3. Othertime a hem on the bottom cut the orange. In form it should resemble a Crescent. So you'll have to transfer the volume of the fruit. You can draw a heart and map out the lines you draw orange slices in the following steps. Step 4. In a continuation of the previous step, each line drawn to add another one. They will form an acute angle. The line should diverge downwardly and form the basis of a rounded form. Step 5. turn over and draw the branches and leaves. Apply shadows on the leaves and stroke them parallel veins. Step 6. 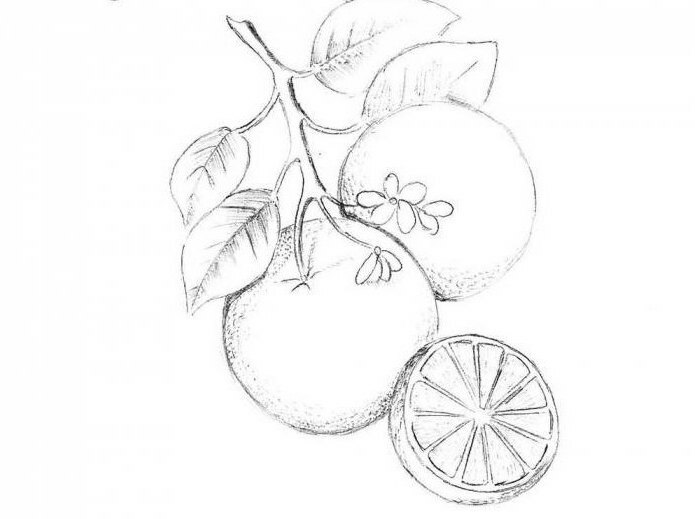 Draw the citrus fruit surface. It is uniformly draw parts of the coating. Peel is depicted in the form of small commas. A similar technique will give your song the naturalness and accuracy. Citrus fruits, especially oranges, has always been considered quite picturesque plants. 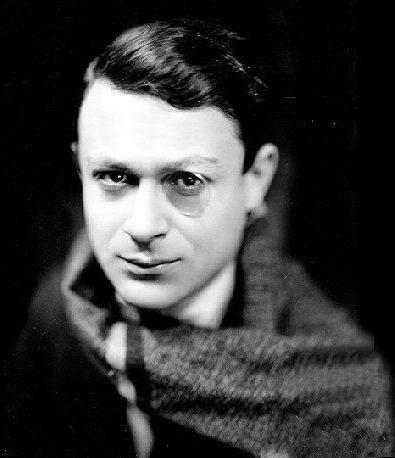 They are depicted in the works of many artists. The reason for this is simplicity in execution. Learn to draw an orange, you can slightly complicate the task. 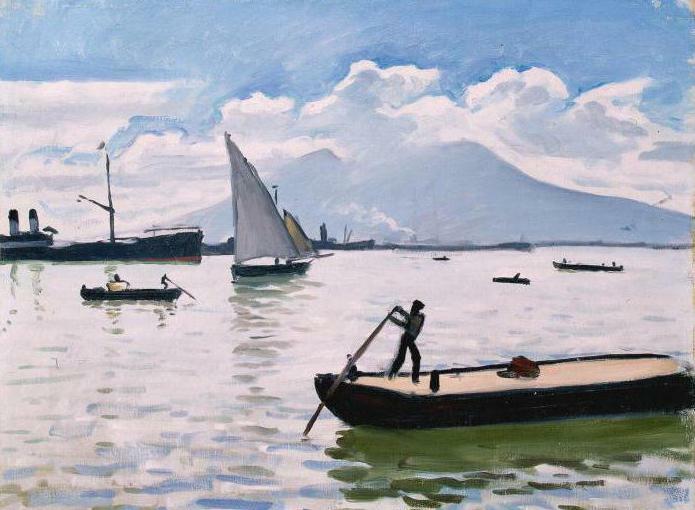 for Example, the composition will be more interesting if you draw two or three oranges. Also draw the citrus in the cut. Orange slice is very interesting from an artistic point of view. In citrus, a large variety of textures: walls between the lobes, the inner element of the rind, flesh. 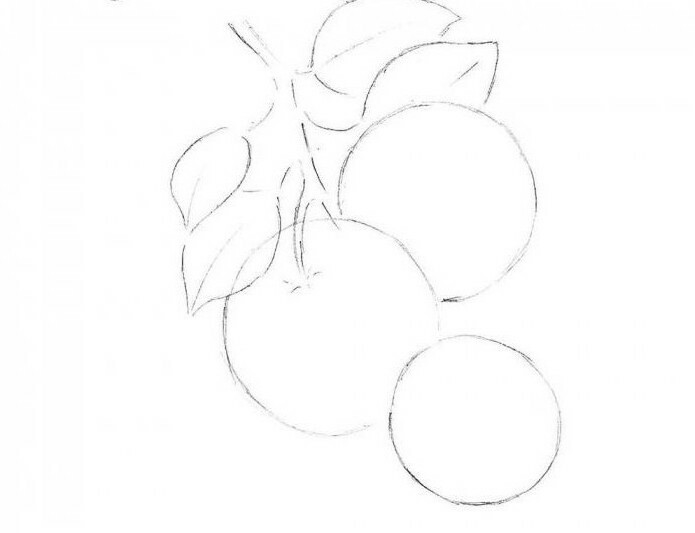 In this phased technique you can learn in detail how to draw an orange with a pencil, and avoid common mistakes. let us Consider in detail how to draw an orange in cross section. This stage requires accuracy in detail. Inside the main circle will need to draw another circle. The gap should not be large, because in the future he will become a shell of citrus. The centre needs to designate another small circle. The second circle divided into a number of segments. You need to understand that they must be different and vary in width. This technique will allow to give the orange the realism. Drawing segments should start with triangles, gradually rounding the corners to give the desired shape. Now you need to give some thickness to the walls between the orange slices. It remains only to erase with an eraser all the roughness, inaccuracies and auxiliary lines drawn earlier. Your drawing is ready, you can start coloring. 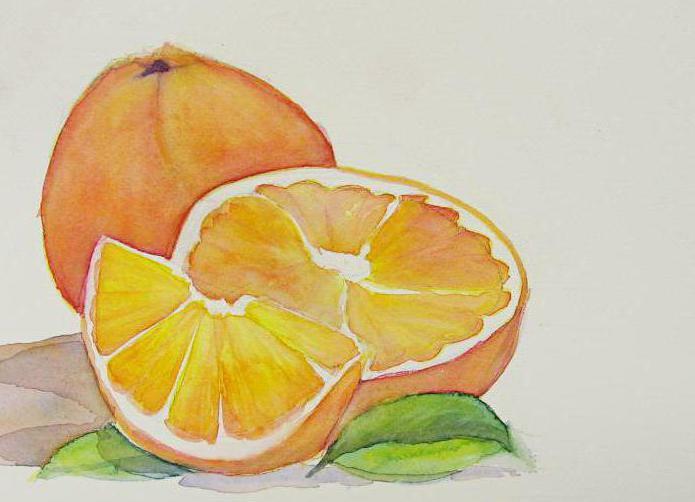 learn how to draw an orange with a pencil, the phases described in this article. For beginners this lesson will surely be very useful. 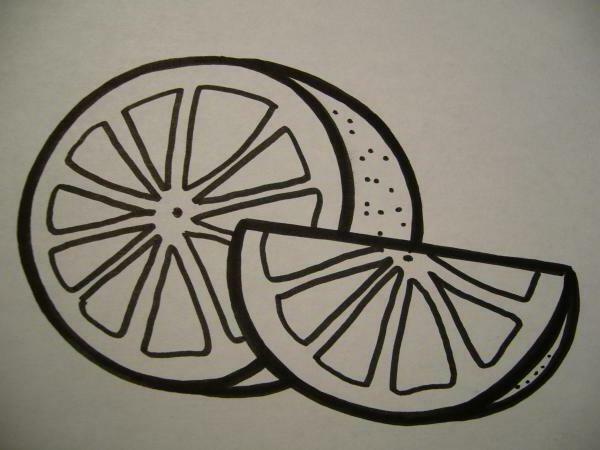 If you take into account all of the recommendations, to draw the orange citrus is easy. The main thing - to exercise the utmost care and precision, then you do not have to be redrawn. Don't just copy the orange, try to add additional elements to your drawing was not an ordinary copy. Remember: the more legible parts, the more interesting and better you get a composition. We create three-dimensional paintings from the cardboard "Small house in the village"